SGS went from Short to Neutral as of close of today. All open positions in RTS 20110317 Short Portfolio will be closed (covered) tomorrow at the open. 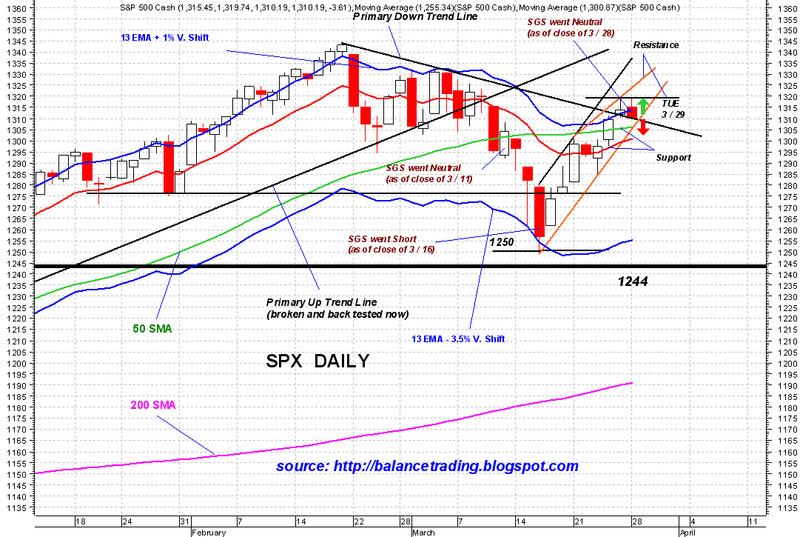 Download trend lines in weekly charts for all major indices held today and pushed indices back near close. 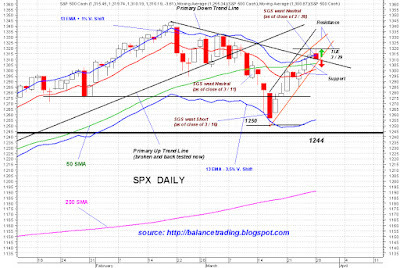 At this point, SPX very likely will sell off tomorrow and test its 50 D-SMA around 1306 and probably its 13 D-EMA around 1301. My plan is to close all short positions in my LT and IT at those points.